I'm sure I'm breaking every rule by posting twice in one day but what can i say I'm on a role! thought I'ld share a little ootd with you. I went out for dinner with my lovely boyfriend so thought i best not go in my pj's! When i put this outfit on i initially liked it but looking at these photos my jeans make my legs look short and chubby! 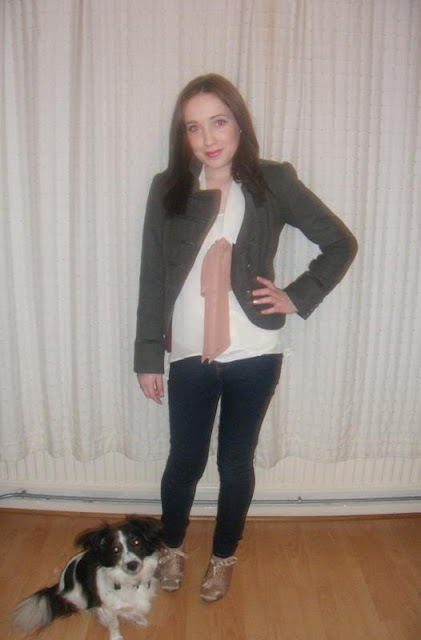 not impressed... on a more positive note i love my new blouse and my shoes :) wish the photo did the shoes more justice! Thank you! meal was lovely.